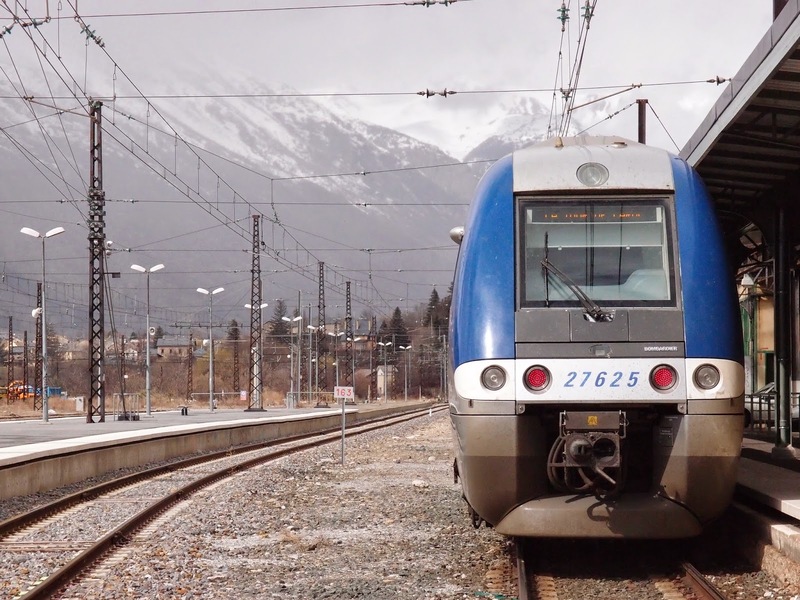 Yet again I find myself sitting on a fast TGV train, whizzing along, northward bound through sunny French countryside, this time on the way back from a couple of weeks climbing in Chulilla. Chulilla is located an hour's drive east of Valencia in NE Spain. 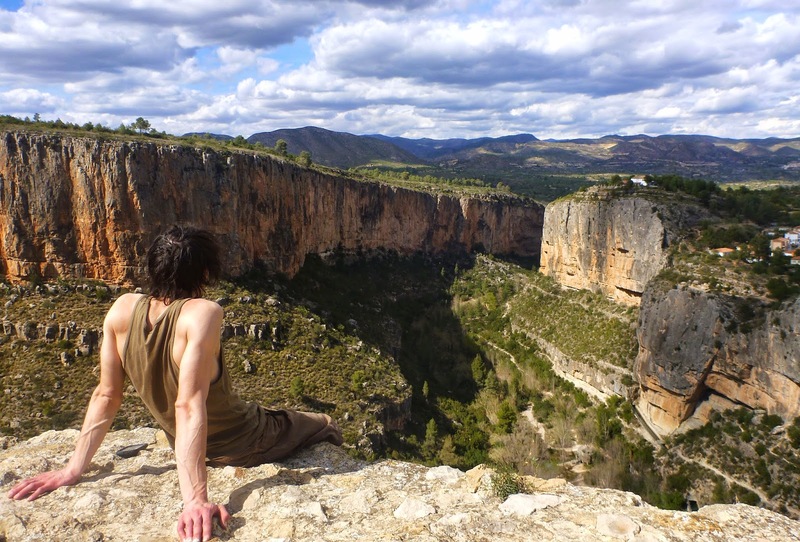 I had not heard of Chulilla until a few months ago when I was flicking through the pages of a climbing magazine and saw a rather cool looking photo of a climbing area in Spain I had not heard of or visited before. Intrigued I did some searching and found the Climb Chulilla website. The location, topos, routes and grade spread looked like it might make a near perfect location for a spring sport climbing hit. On the return journey we spent an afternoon in Barcelona then got a fast TGV the next day straight through to Paris. Chulilla itself is a small village with a ruin of a castle perched up above a steeply cut limestone gorge. 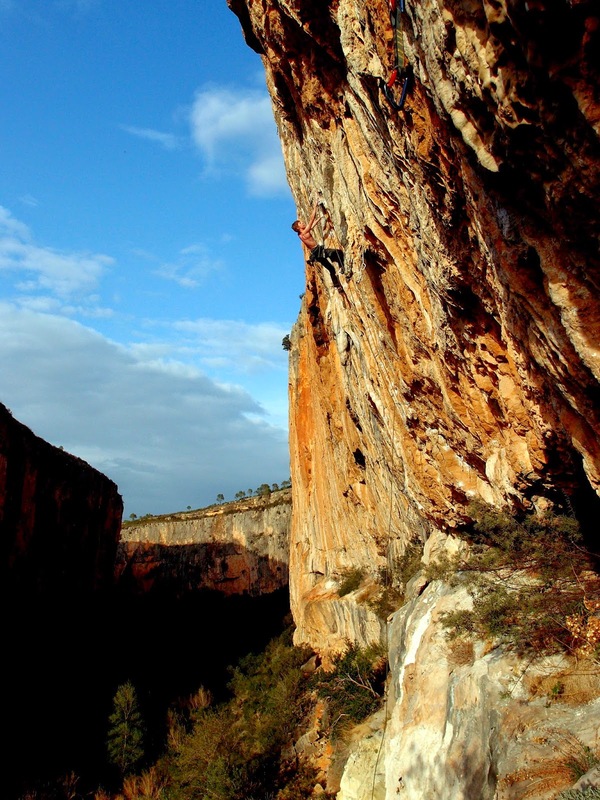 It seems in the past Chulilla was once popular climbing destination but in recent years has been overshadowed by the other sport climbing developments close by e.g in Catalonia. 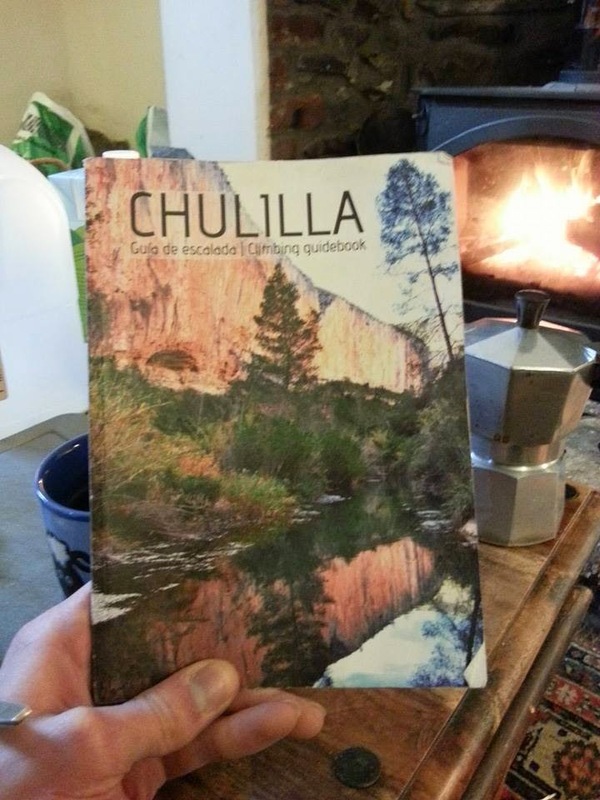 However in the past couple of years there has been a lot of climbing developments taking place in Chulilla: many new high quality routes have been equipped in the gorge, a couple of suspension bridges have been erected to make accessing the best areas much easier and crucially a new high quality climbing guide book has been published. For accommodation we stayed in El Altico Refugio which is located in a stunning cliff-top location a short walk from all the main crags. El Altico is run by local legends Pedro Pons and his partner Nuria. It seems Predro cleaned and bolted a large number of the routes in Chulilla. Crag and route advice and recommendations was never in short supply! We stayed self-catered which was perfect for us and reasonably priced. El Altico also offers a full board option which we took advantage of on Jon's birthday night; Pedro and Nuria cooked a tasty local rice dish, bueno! El Altico Refugio is the white building right on top of the gorge! The climbing in Chulilla was amazing, certainly some sectors are of world class quality. The routes are generally long (30m standard and 40m common!) and a few degrees overhanging often following stunning tufa features. 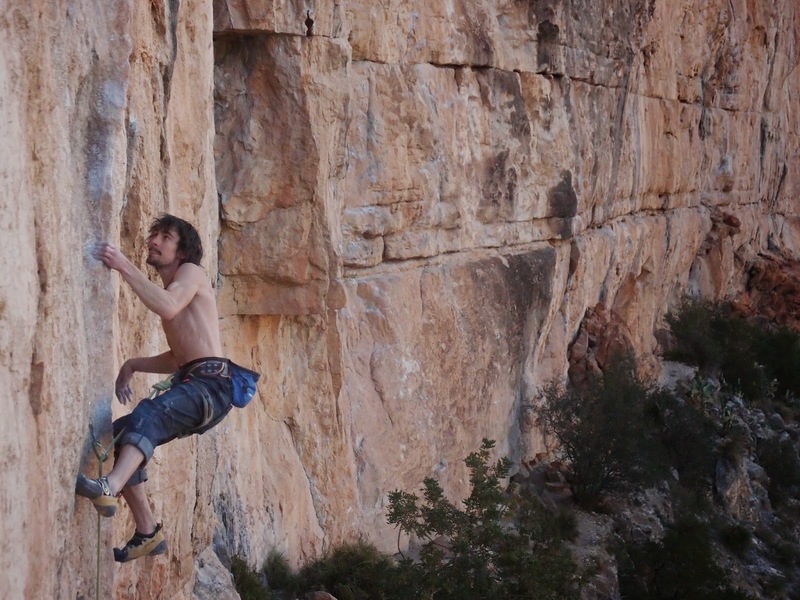 The best routes are often in the 7b-7c+ grades. I spent most of the trip onsighting lots of amazing routes. 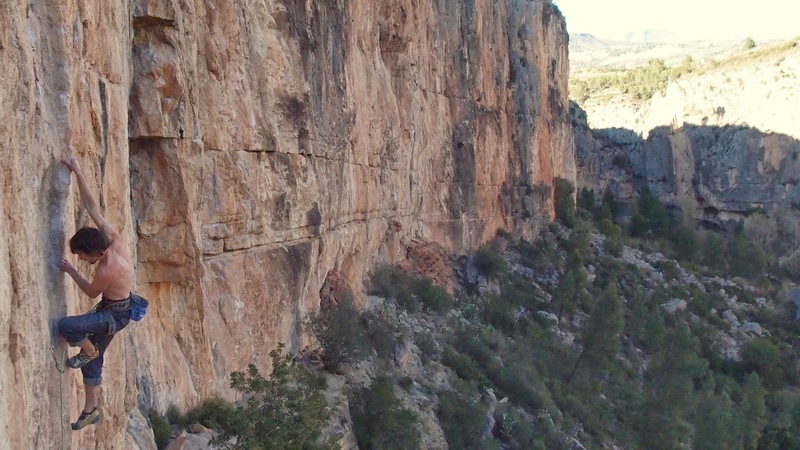 The long routes and well featured tufas lend them selves to onsight climbing. The grades in Chulilla did seem soft compared to other crags like Ceuse, this was very much a 'holiday ticklist'! Prior to this trip I had only ever flashed one 7c+ and never an 8a before! During the trip I had one fun mini red-point project, a 35m route called La Montana Magica on El Blancito, the route starts up a couple of stunning large tufas (think full body jams) before a powerful crux on crimpers then a pumpy thin headwall. The route went on my second redpoint after working out moves over couple of sessions (due to a split fingertip). The route gets 8a+/8b in the guide, which probaly translates as 8a/8a+! I would recommend anyone going to Chulilla who climbes around 7b/7c not to miss sectors EL BALCONCITO, EL BALCON and EL OASIS. We only climbed on EL BALCONCITO for one day but I was very impressed by the quality of the routes, it feels like it's one of the newest crags to be developed. Some of the routes at this sector have a 'new' feeling about them, which some people might love, or hate! I felt privileged to be able to climb un-polished and pristine delicate tufa features which I fear probably won't be the same in a few years time. As with any newly developed routes, grades and occasionally solidness of holds should be treated with caution. It was a super enjoyable trip, there was good crowd of friends out with us which made for some quality dinners, tasty wine and fun evenings. To break up the train journey home and allow us to catch the fast TGV service direct to Paris we spent an afternoon and night in Barcelona. This gave us just enough time to hit the beach (novelty in April! ), walk around Park Guell (amazing architecture), and grab some real tapas basque pinxos in a very Spanish Catalan local bar called Gasterea. Also check out Jon's Blog from the trip!